Mahmoud Abbas, commonly known as Abu Mazen, was elected President of the Palestinian Authority (PA) on January 9, 2005 and took office on January 15, 2005. Born in the Safed on March 26, 1935, he and his family fled to Syria in 1948, during Israel's War of Independence. Abbas graduated from the University of Damascus, went on to study in Egypt, where he studied law and earned his PHD in history from the Institute of Oriental Studies in Moscow. In the late 1950s he relocated to Qatar, where he became involved in underground Palestinian politics. In 1957 he became one of the founding members – alongside Yasser Arafat and Khalil al-Wazir (AKA Abu Jihad) – of the Fatah movement, which eventually became one of the major Palestinian political parties and the largest faction of the Palestine Liberation Organization (PLO). Throughout the 1960s, 70s, and 80s, Abbas, Arafat and the rest of the PLO leadership traveled to Jordan, Lebanon and Tunisia, gathering support. Abbas is said to have had a powerful behind-the-scenes influence on the PLO, and reportedly began to argue for the recognition of Israel at times when such a view was less than popular with the PLO. In 1980, Abbas was named the PLO's foreign relations director. In 1988, after the assassination of al-Wazir, he took on the responsibilities of organizing the Palestinian resistance in the territories and in 1996 was named the PLO's secretary-general, effectively becoming the organization's number-two man and Yasser Arafat's successor. Considered one of the PLO's moderate voices, Abbas was involved in the Israeli-Palestinian peace process form the very beginning: In the 1970s and 1980s he met with several high-profiled left-wing Israeli activists and in 1991 was one of the driving forces behind the Israeli-Palestinian Madrid Summit. As one of the Oslo Accords architects, he has formed personal relationships with several prominent Israeli politicians, such as Meretz-Yahad Chairman MK Yossi Beilin. In 1995 the two published the Beilin-Abu Mazen document, considered the framework for the final status agreement between Israel and the PLO. Abbas' moderate views earned him the support of Israel, the United States and the European community, all of which saw him as Yasser Arafat's natural successor. 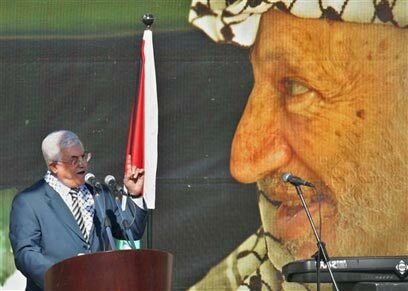 In 2003, following heavy international pressure, Arafat named Abbas the Palestinian Authority's prime minister. The nomination, and Abbas' subsequent authorities within the PA, were to become the major bone of contention between the two. In mid 2003 Abbas resigned his position as Palestinian prime minister, citing lack of cooperation with Israel and the US, and ongoing incitement against him within the PA. In 2004, faced with Arafat's deteriorating health Abbas returned to office. After Arafat's death on November 11th 2004, Abbas was named chairman of the PLO and in January 2005 was voted Palestinian president. In January of 2006, the Palestinian Authority held general elections in which Hamas – Fatah's political archrival – took part for the first time. Hamas won the elections by a landslide, taking hold of 76 of the Palestinian parliament's 132 seats. Following Hamas' victory, Israel, the United States, the European Union, several Western states and the Arab nations suspended all foreign aid to the PA; but Hamas was still able to maintain the Palestinian population's basic needs. The blow suffered by Fatah in the elections ate away at Abbas' political standing within the PA, creating ongoing clashes with Hamas affiliated Prime Minister Ismail Haniyeh. The political rivalry soon found its way to the streets, as Fatah – which still had control of most of the PA's security apparatus – and Hamas forces began clashing through the streets of the Gaza Strip. 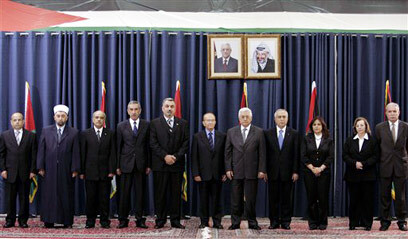 After several mediation attempts led by Saudi Arabia, the Islamist Hamas and secular Fatah groups agreed to share power and on March 17, 2007, the Palestinian unity government was sworn in. 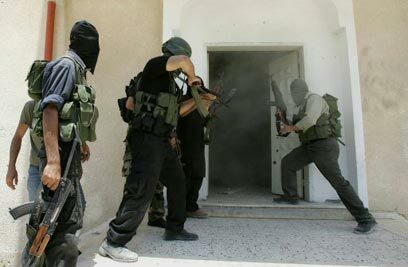 The calm did not last long: In mid-May 2007 Fatah and Hamas began clashing once more. Leaders of both parties repeatedly tried to mediate ceasefires, none of which lasted more than a few days. In early June 2007, the infighting between Fatah and Hamas escalated to the point where civil war was inevitable: On June 12 Hamas forces stormed Fatah's Gaza headquarters and after a short siege took it over. On June 13 2007, Hamas took control of the north of Gaza strip declaring the area under military rule, and demanding everyone, including the Fatah military forces, hand over their weapons. The group also began launching attacks on the Gaza Strip towns of Khan Younis and Rafah. By June 15 2007, Hamas was in control of most of the Gaza Strip. Hamas' ravaging through Gaza and its threat to execute anyone affiliated with Fatah, forced Fatah's leadership, including Abbas, to flee to the West Bank city of Ramallah. On June 14 2007, Abbas announced he was officially dissolving the Palestinian unity government and declared a state of emergency in the Gaza Strip. Abbas set up his new parliamentary base in Ramallah, forming an emergency cabinet to govern the West Bank and manage Palestinian affairs. On June 17, supported by Israel, the US and the Arab League, Abbas named Salam Fayyad the new Palestinian prime minister and swore in the new Palestinian government. The rift between Fatah and Hamas continues. 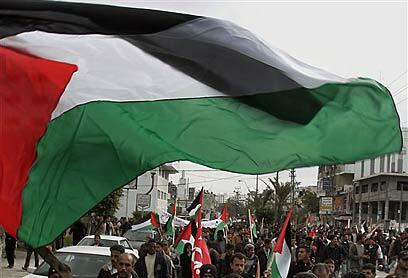 The Palestinian people remain divided between Hamas-ruled Gaza Strip and Fatah-ruled West Bank.